Webb Millsaps, a South Florida business attorney, provides business legal services to companies and individuals throughout Florida that are integral to the successful operation of businesses of all sizes. Specializing in healthcare law and a member of a select group of Board-Certified Healthcare Law Attorneys in the state of Florida, Webb Millsaps combines knowledge and education with a commitment to providing clients with legal services marked by integrity, excellence and value. We counsel and represent clients in all aspects of business law, from contracts and dispute resolution to healthcare-specific legal matters and litigation. No matter what type of legal representation we offer, we provide the kind of personalized service that can only be found in a boutique law firm, while drawing on prior experiences from major international law firms. Whether you are just starting your business or are in need of an experienced and passionate business lawyer to handle contracts, transactions or other legal matters, Webb Millsaps is dedicated to providing you with strong, intelligent legal representation with a focus on individualized attention and respect. Find out how Webb Millsaps can meet your business legal needs in Florida by calling 561-900-7238. I AM A SMALL BUSINESS OWNER. RECENTLY I HAD A DISPUTE WITH ANOTHER BUSINESS FOR BREACH OF CONTRACT. MR. MILLSAPS IMMEDIATELY UNDERSTOOD MY SITUATION AND ADVISED ME ON THE ACTIONS THAT I COULD TAKE. HE EXPLAINED EVERYTHING UPFRONT AND HIS FEE WAS VERY REASONABLE. HE WORKED HARD TO GET ME WHAT WAS RIGHTFULLY MINE. I WAS VERY CONFIDENT THAT MY CASE WAS IN GOOD HANDS AFTER I SPOKE WITH HIM FOR THE FIRST TIME. I WOULD SURELY RECOMMEND MR. MILLSAPS TO ANYONE WHO NEEDS AN ATTORNEY TO FIGHT FOR THEM. Webb Millsaps is an exceptional attorney who helped me successfully defend a lawsuit. Webb was also fair, reasonable and transparent about legal fees, which I truly appreciated. I feel that he is highly ethical and caring about his clients – he certainly was in my case. Webb really put his heart into my legal matter. He demonstrated from beginning to end that he is skillful in how he comes up with and then pursues a winning strategy. He also showed that he is truly passionate about helping his clients. Although lawsuits can be stressful, he always gave me peace of mind. So, if you need a lawyer who is not only good at what he does, but who actually gives a rip about what happens to his clients, I would highly recommend that you consider Webb Millsaps. Mr. Millsaps provided me with excellent legal counsel on two matters. Based on my experience, he is a thoughtful attorney who takes a genuine interest in his clients. I found him to be a savvy business attorney. He has particular and specialized knowledge of the business and legal issues that physicians, dentists, and healthcare companies face in today’s environment. 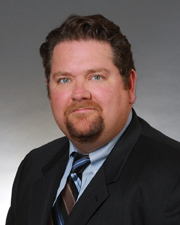 Mr. Millsaps’s credentials are also impressive: he is a graduate of The University of Chicago Law School and is Board Certified in Healthcare Law. Webb gave my family hope when we had so many attorneys tell us they would not take on our case. I know that God put him in our life for a reason, and what a blessing to work with Webb and his staff. The settlement we got back help us rebuild a home again back in California and it helped heal the lost of our personal belongings. Keep doing great work for all of Gods people and May God continue to Bless you and your family. If you are looking for a caring attorney Webb and his staff are the best at what they do. Great Job!!!! Mr Millsaps represented me when I was sued by my in laws over a past debt that they wanted to tie into a corporate settlement. He appeared in court on my behalf and was able to mediate an amicable settlement that I was quite pleased with. Mr Millsaps was able to keep the case out of future court dates and therefore saved me additional money in fees. I found that he was concerned about the money I spent and I appreciate that. Since that time I have referred many people to him ranging from trusts, real estate, and even criminal expongement law. As these are important customers to me I value the service. The reports back to me have been extremely positive. It’s nice to have an attorney with knowledge on a range of topics. Recently, I asked Mr Millsaps to represent me on a misdemeanor ticket issue. He was quick to tell me that he would prefer me to work with an associate and the results were favorable. I appreciate this as well as I have had attorneys in the past who took cases and money and due to their schedule were not effective. I would highly recommend Mr Millsaps.